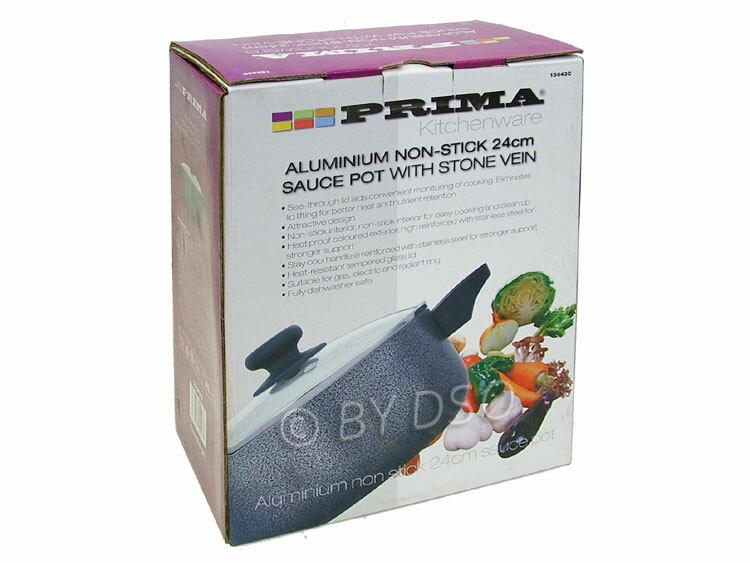 As a home cook of professional chef, you appreciate preparing delicious, mouth watering recipes, you will appreciate the style and elegance of this 28cm non-stick Aluminium Sauce Pot with stone vein from Prima. 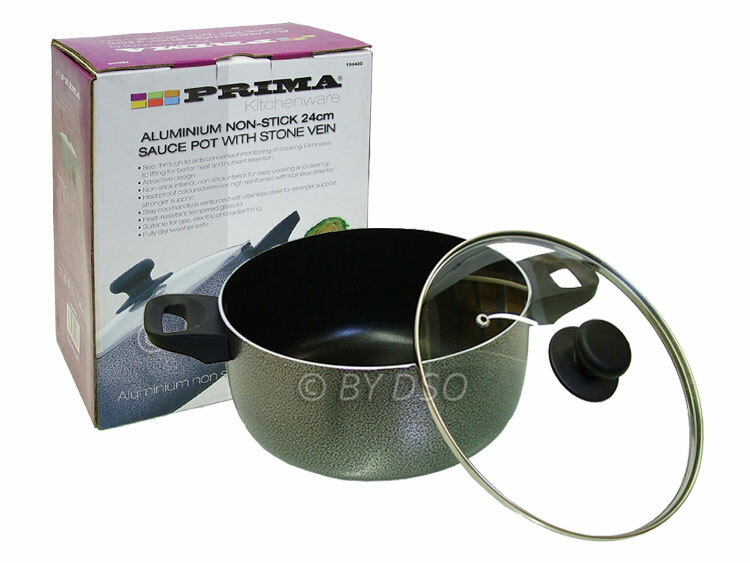 This is a highly advanced, non-stick, cookware systems providing all the benefits of professional quality and durability a home cook could wish for. 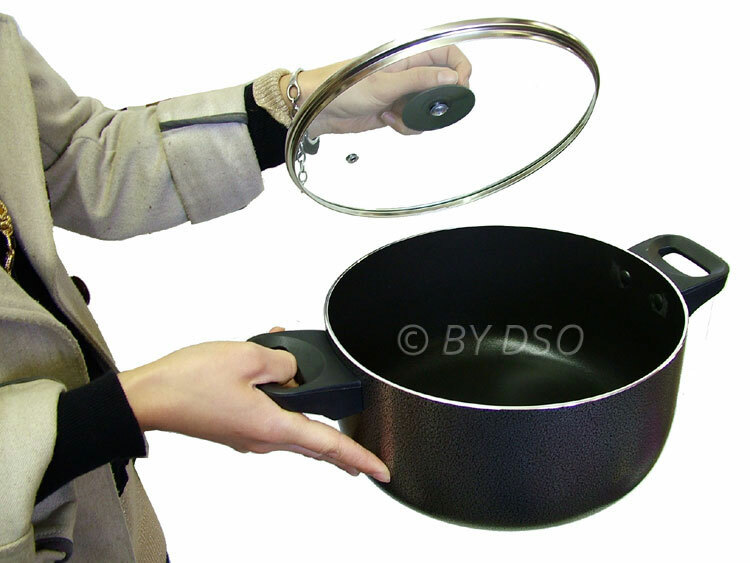 With both interior and exterior coatings being non stick, this makes for a very easy clean up at the end of the day. 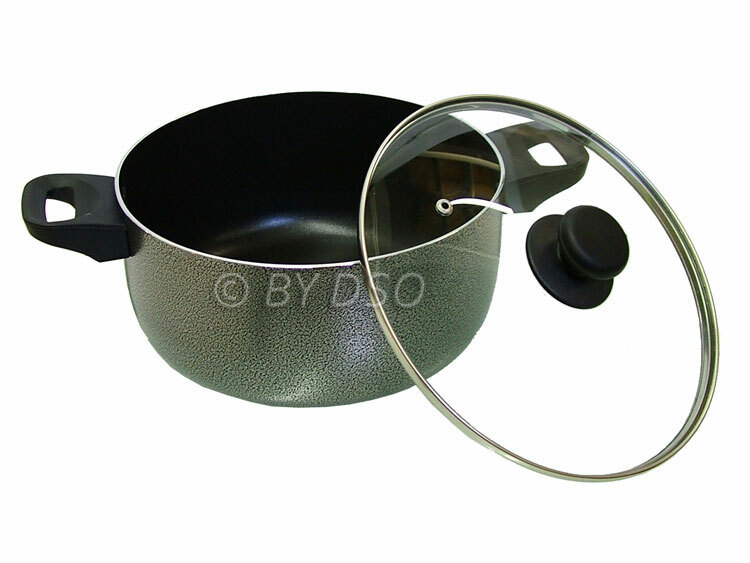 Suitable for both gas and electric radiant ring, it's also dishwasher safe and the outer exterior is reinforced with stainless steel for stronger support.